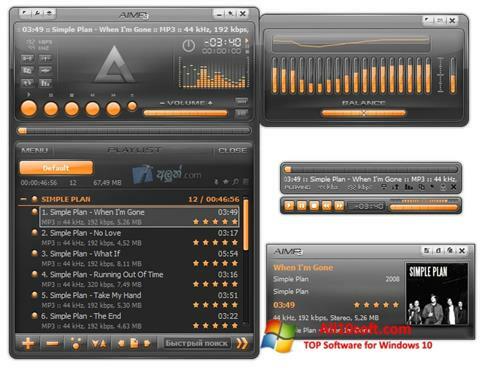 AIMP for Windows 10 - advanced audio player, which is one of the best representatives of this software segment. It will interest those who are looking for a functional, multitasking solution for listening to music on a PC, endowed with flexible settings. Supports all current formats. Allows you to customize the playback quality. Nice graphical shell is easy to customize. You can change the appearance using one of the many themes. The product contains a file converter, there is a tool for editing tags. Integrated into Explorer context menu. You can free download AIMP official latest version for Windows 10 in English.